What are the Main Advantages of Pay Per Click Advertising? An updated version of this article is available here. What are the main advantages to be had from marketing your business online via pay per click advertising? The first top advantage of pay per click advertising is that worth nothing is the fact that you can easily select the focus and scale of your target audience at the click of a button in your pay per click advertising account. If you want to focus your online advertising on a small, localized area, within a few square miles of your business or store, you can choose to do so. If you want to advertise your products or services across more than one continent, you can choose to do so thanks to the technical advantages of pay per click advertising. Being able to geographically target your audience is a huge pay per click advertising advantage, particularly because the boundaries that you set can be changed at any time. There are also lots of other ways to continue targeting your audience, such as their social or cultural preferences which can be gleaned from your audience’s social networking activities for example. When using print advertising or other forms of online advertising, it is very difficult to get this kind of control over your target audience. The pay per click advertising advantage is in the control and freedom that you have regarding geographical targeting. The second main advantage from pay per click advertising is the fact that you can advertise via pay per click regardless of your budget. Pay per click advertising is an effective form of online advertising that can be run on anything from a few dollars a month to millions of dollars a month. Regardless of the amount of money that you spend on your pay per click advertising, it can also still be highly successful, which is another pay per click advertising advantage to bear in mind. It is not how much money you spend on your pay per click advertising that counts. It is how that money which you invest is spent which will start to bring in new clients and new customers to your business. The advantage of pay per click advertising as opposed to other kinds of online advertising or print advertising is the fact that you can achieve fantastic results from that advertising on any budget whatsoever. If you use print advertising to market your business, it is very difficult, expensive and time-consuming when you want to make changes to that advertising campaign. When you advertise via pay per click, the third advantage is the fact that making changes to your campaign costs nothing (unless you are changing how much you are spending) and can be done at the click of a mouse. You can make changes to the advertisement text within your advertisements, you can make changes to the times of day when your advertisements are shown, you can make changes to the landing pages on your website that your advertisements lead to. All of these changes can be made within a few minutes. It is that simple. The list of what you can change is endless and therefore the advantage of pay per click advertising lies in the ease and speed at which you can market your business via this medium. The fourth advantage to pay per click advertising comes in the form of pay per click advertising tools which are under constant development and designed to make your pay per click advertising campaigns even more successful every time. For example, if you need help optimizing your campaigns, you can use Google Analytics to make sure that you make informed decisions. You can also use other pay per click advertising tools to run a second campaign in secret for a period of time. In this way you can test out theories for that campaign to see what kind of results you might get from that campaign. All of this can be done as a test run without actually running the campaign for real and having to invest money into it. Pay per click advertising experts are developing and improving pay per click advertising tools every day. These developments are never ending. The constant development behind the scenes of pay per click advertising is another clear advantage for all the advertisers who market their businesses using this medium. You are never going to feel as supported in your advertising as you will do with pay per click advertising. Feeling constantly supported is nothing but a clear advantage to be had from marketing via pay per click advertising. In addition to all the advantages outlined above, one of the most important advantages of pay per click advertising is that you can outsource your pay per click advertising needs to experts in the field. This then frees up your time to concentrate fully on running your business and you can also be safe in the knowledge that the best of the best are in control of your pay per click advertising campaign from the very beginning. Webrageous is one of the top pay per click advertising management companies in operation today. Our pay per click advertising managers have been creating online advertising success for our clients since 2001 and those successes continue to strengthen every single day. People choose to outsource their pay per click advertising needs to our firm because they know that with our help their pay per click advertising is going to be more successful. We are trained, experienced and knowledgeable in pay per click advertising so that you don’t have to be. This is the advantage of pay per click advertising that is outsourced to the pay per click managers at Webrageous. There is no need for you to learn how to become successful at pay per click advertising, because our experts in pay per click are expert enough so that you don’t have to worry. The advantages of having someone else run your pay per click advertising for you are limitless. We would love to speak with you directly about your pay per click advertising needs without delay and find out what it is that you will be able to do with whatever budget you have to play with. In addition to the fact that pay per click advertising is by far the most advantageous way of advertising your business, it is highly recommended that you choose to advertise your business via Google AdWords pay per click as opposed to any other form of pay per click advertising for the following reasons. One of the advantages of pay per click advertising via Google AdWords relates to the fact that Google is the largest search engine in the world. Therefore if you want to make sure that your pay per click advertising is seen by your target audience, you have the best possible chance of doing so via Google AdWords. Through Google AdWords pay per click the advantage is that you can either market your business via text-based advertisements or advertisements too. The Google Display Network is huge and full of effective image advertisements run by a whole host of advertisers all over the world. If you really want to make the best success out of your advertising, the advantages to pay per click advertising via Google AdWords are clear and indisputable. We hope that you will contact the Google AdWords experts at Webrageous as soon as possible with your pay per click advertising needs. We have no doubt that the advantages of pay per click advertising far outweigh the advantages of any other form of advertising available. 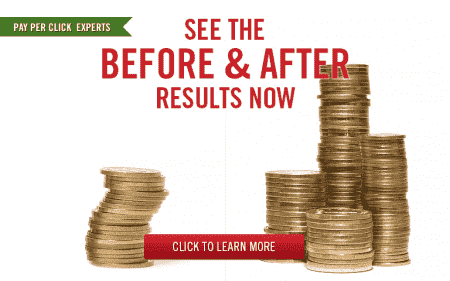 Find out how you can be a part of the pay per click advertising advantage today. We are looking forward to your call.